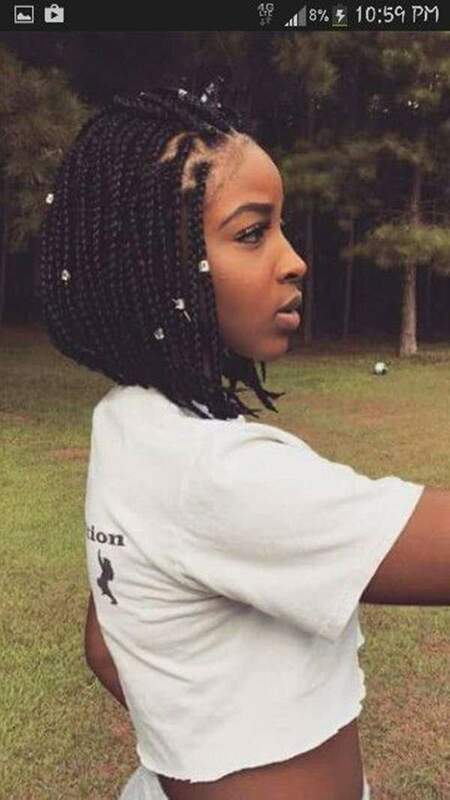 Poetic Braids are quite famous nowadays. 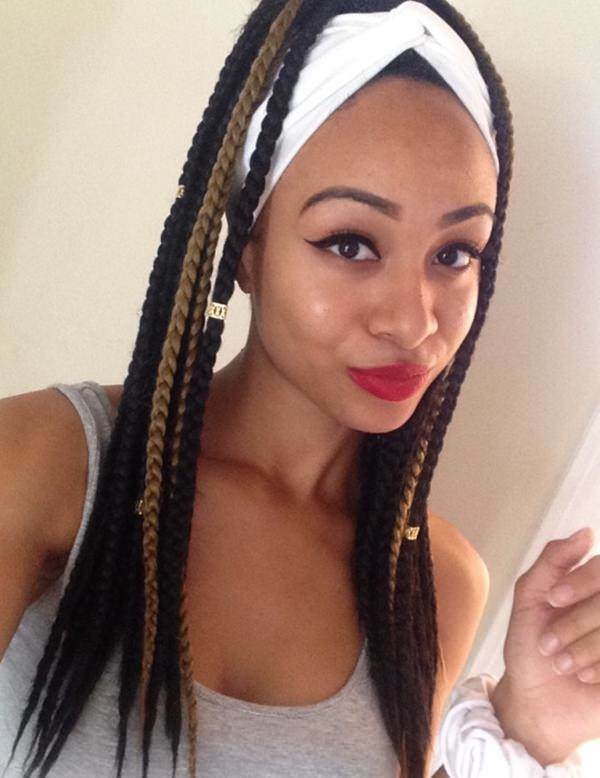 Ladies like to have these box braids no matter which function they are getting ready for. They are of different types and sizes to which different styles are added to enhance the look much more. 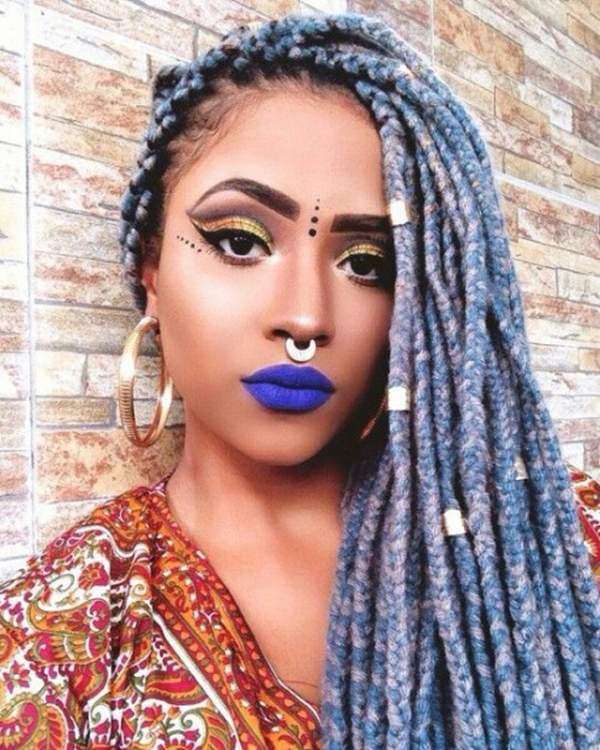 For additional cuteness, many women color their braids with different dyes and that look stunning. It still looks funky and sassy even though they are in trend for so many years now. 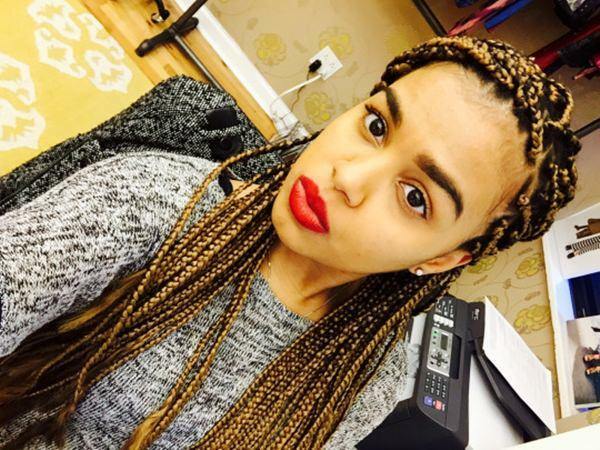 If you are also planning of having a braid style, we are here to help you out. 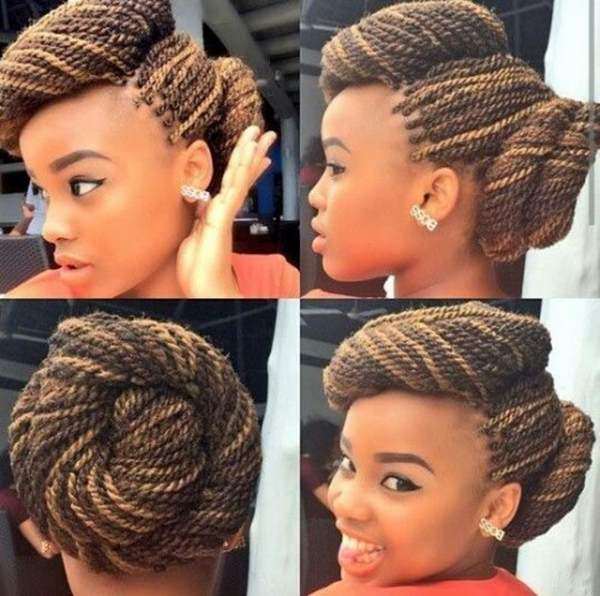 We are sharing with you some of the very amazing styles of making poetic braids that are easy to learn and practice. 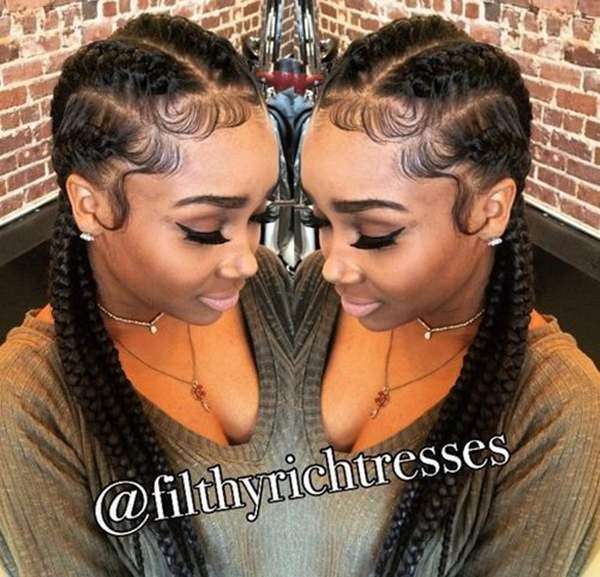 Just go through each picture and read the description to get an exact idea about how to flawlessly make your braids. 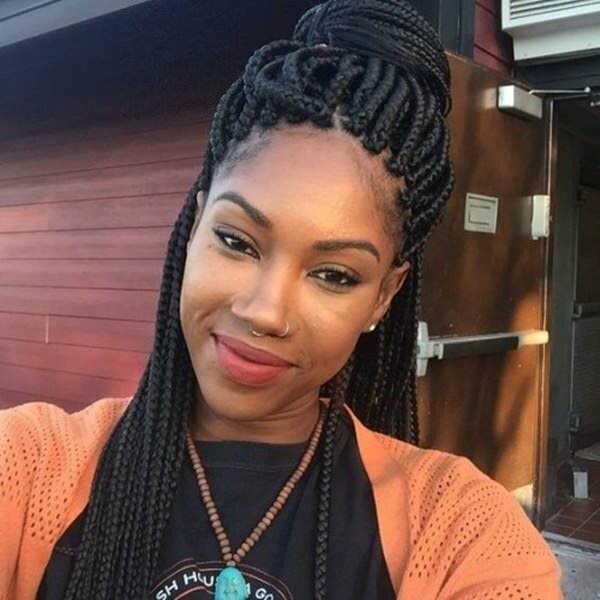 This braid style is genuinely a genius idea. Although conventional in style, but still in trend. All you need is to do proper partitioning of your hairs, put serum and start making your poetic braids. It will compliment every type of dressing. 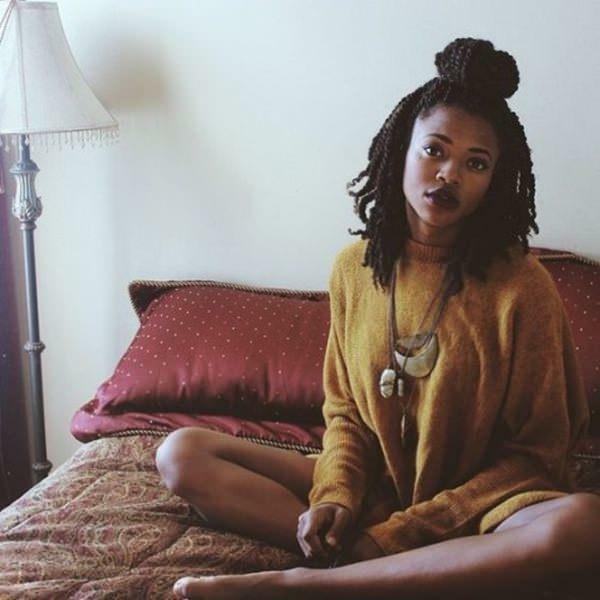 This is again an amazing poetic braid style. Although simple, but the turns and twists that you can dd to it can make it look extraordinary and very trendy. For this, you do not need to make proper partitioning of your hairs. You can simply start from anywhere and end anywhere on your head. 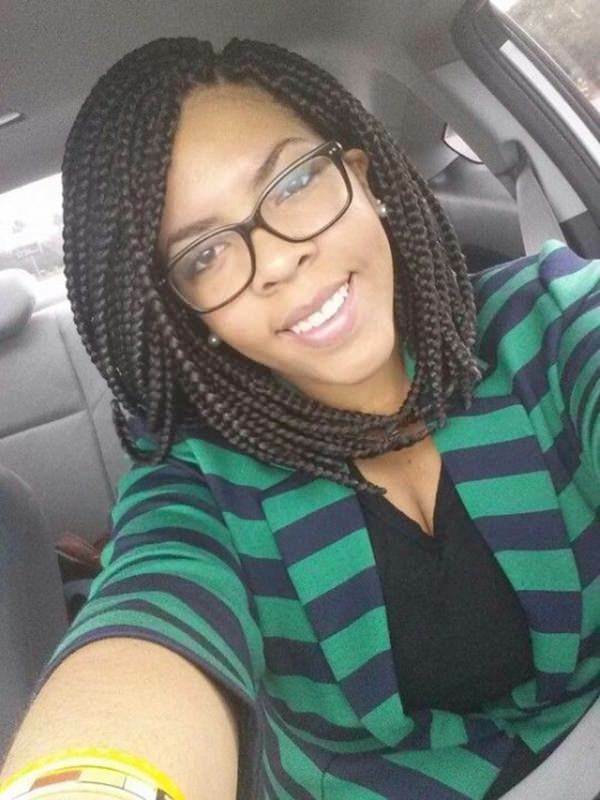 This is the most stylish poetic braid that can help a women feel like a sassy. Only a simple addition of a streak, of blue or any other color that you may like, can add a glamorous touch in your whole look. 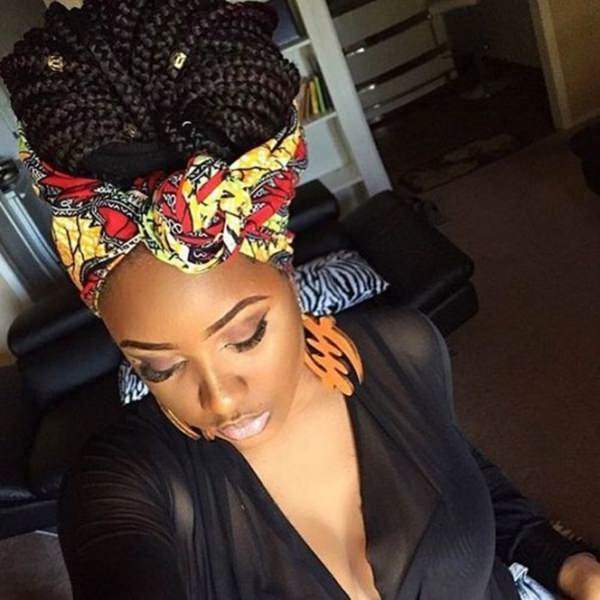 Not only your poetic braid will look stunning, but your complete look for an event will be of next level. 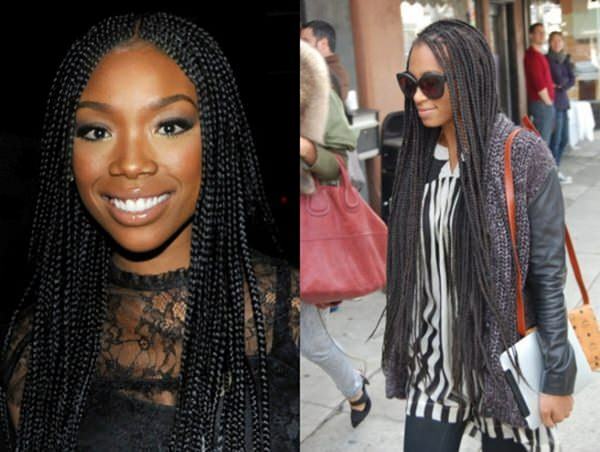 The one-sided poetic braid is in trend just like the common hairstyles nowadays. All that you need to do is to find the right partitioning place for it on one side of your head. 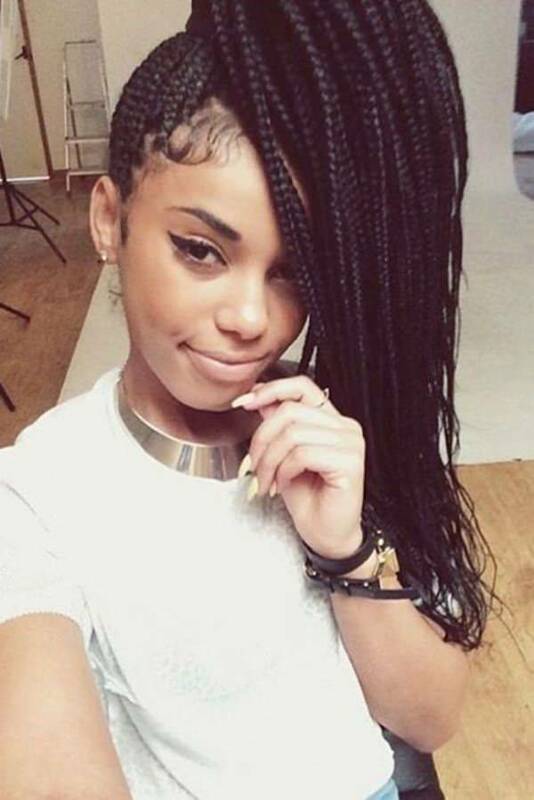 After completing your braid, you can put some bead at different distances on each braid. It’s up to you which beads you like to wear, either the ones with stones or the simple plane. 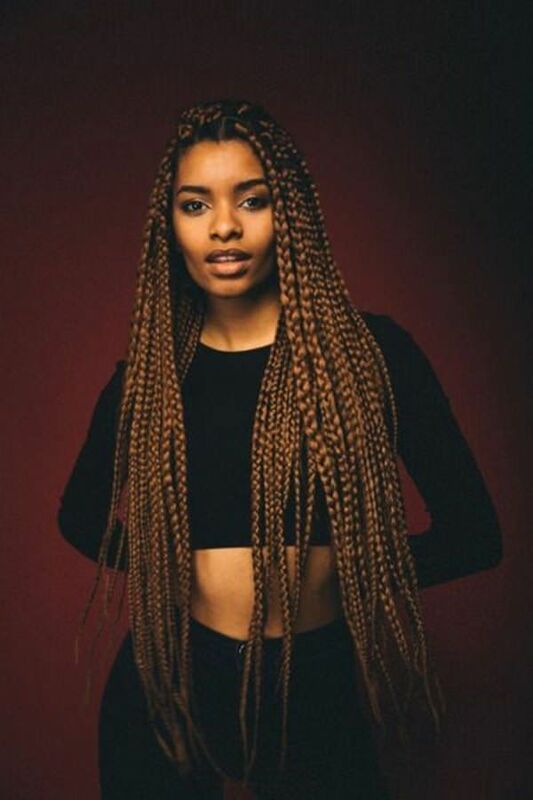 You can get this inspiring look of poetic braid by simply turning your hairs into sections or small portions. 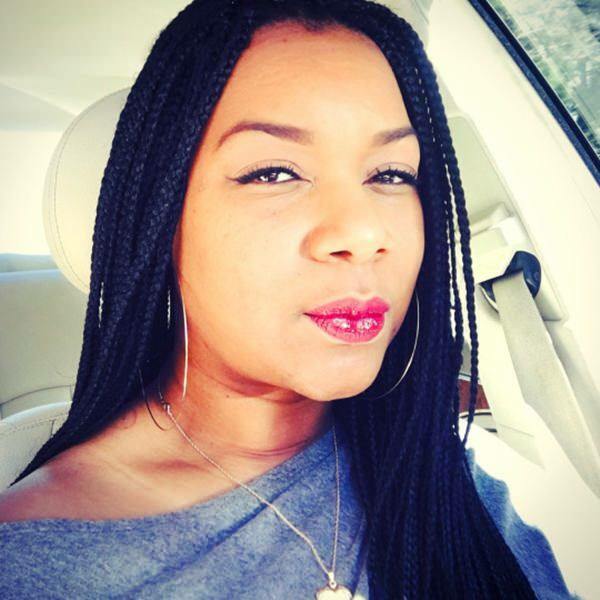 This thick box braid will make you that sassy look that Janet Jackson had in the movie from where this style became so popular. So, try this out today and see how amazing response you will get from people around you. This epic style of justice braid will help you enhance your overall look, no matter which function you are going to go. 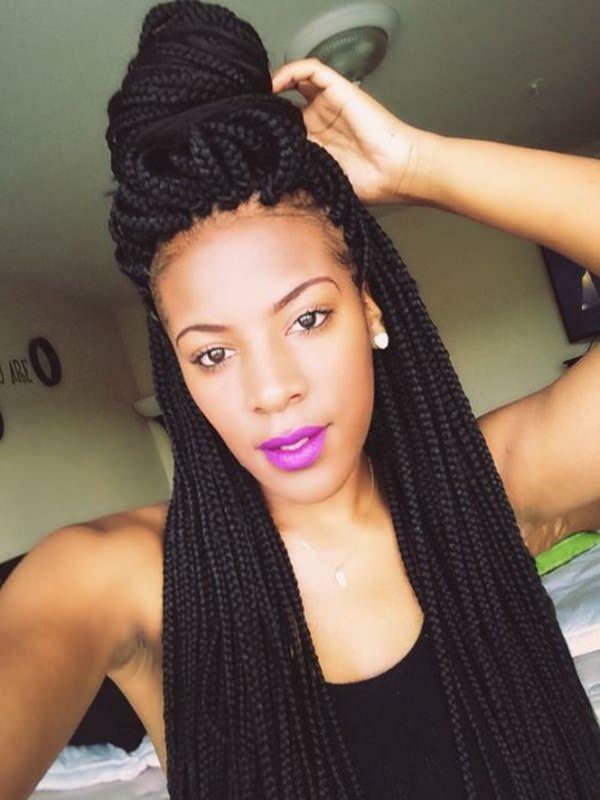 This style have a very long staying power because after making simple conventional braids, you can turn them around on your head and put a ribbon on band around it. A few time practice can help you get this perfect look. 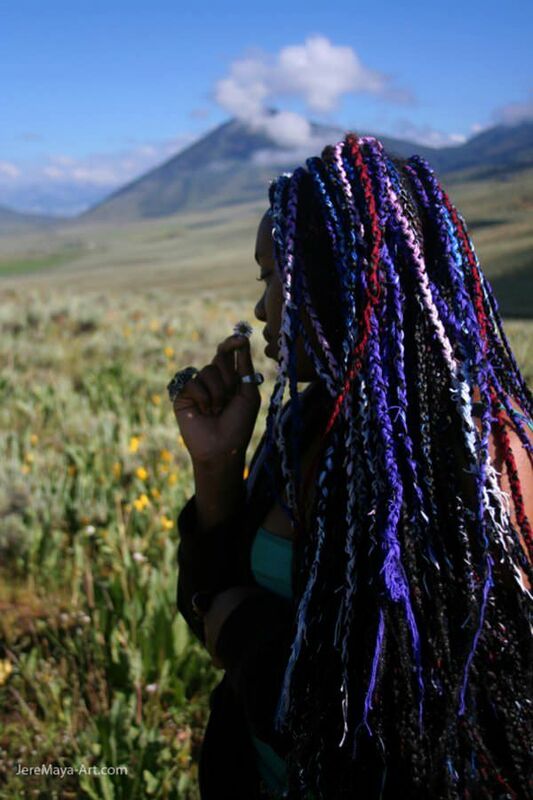 Now this is something very extraordinary when we talk about justice braids. This sassy look is made faunky and showy with the addition of a single plane golden color. 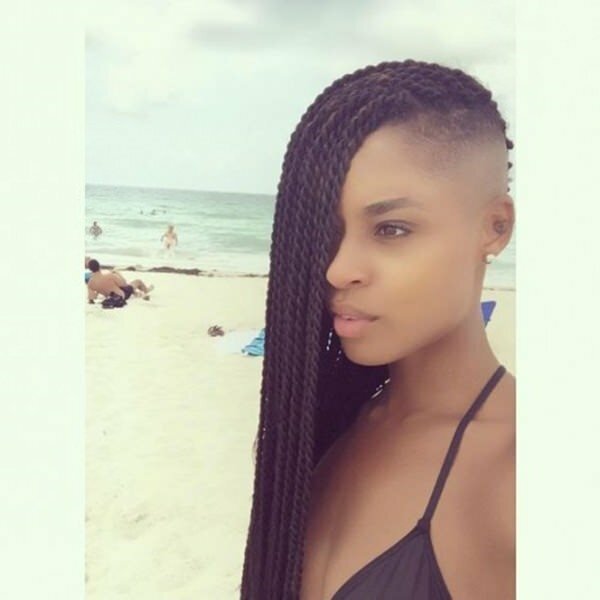 Along with this, a much better option is given if you cannot afford or like to color your braid. 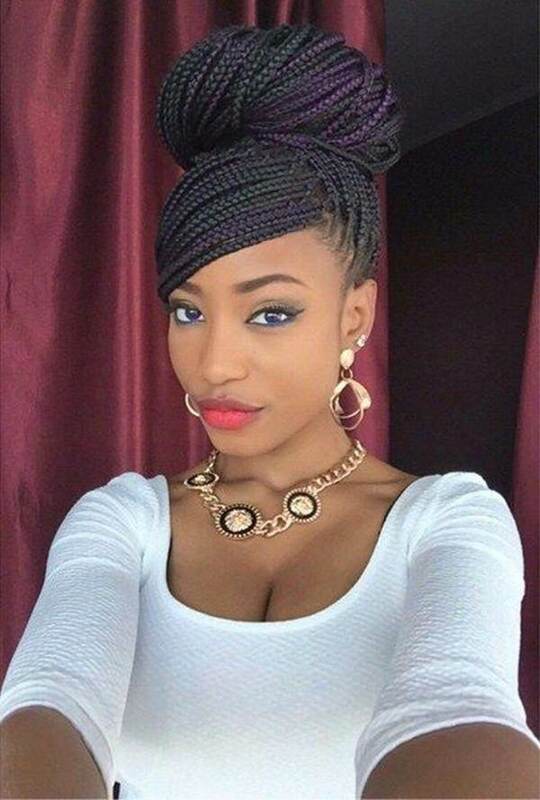 Just make a bun style with your braids, and put some beads on it to enhance you hairstyle. 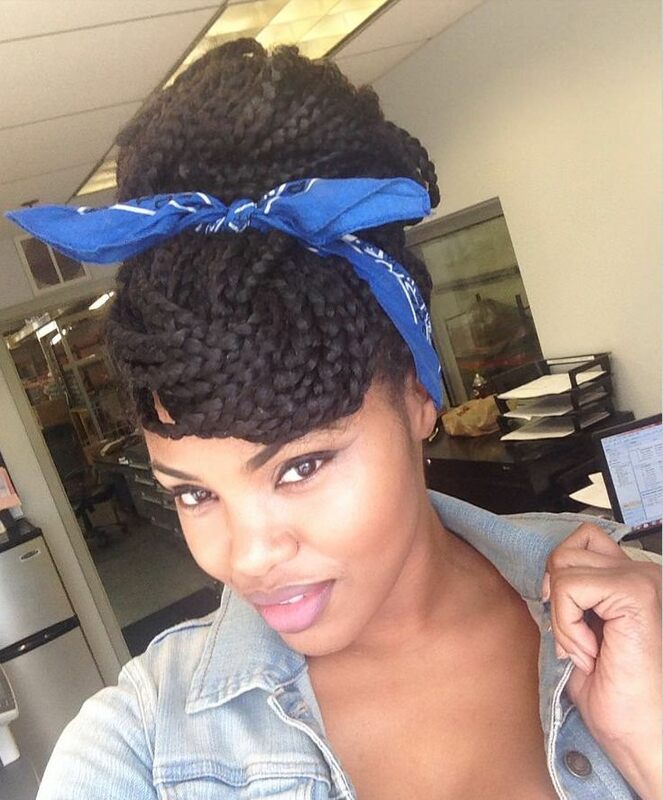 A simple but very neatly done braid style. It can be a very day to day style that is easy to handle even if your schedule is busy. You would not need any salon appointment to do this, just a few time practice will make you expert. Well, the most elegant of all braid style is what this picture is showing. 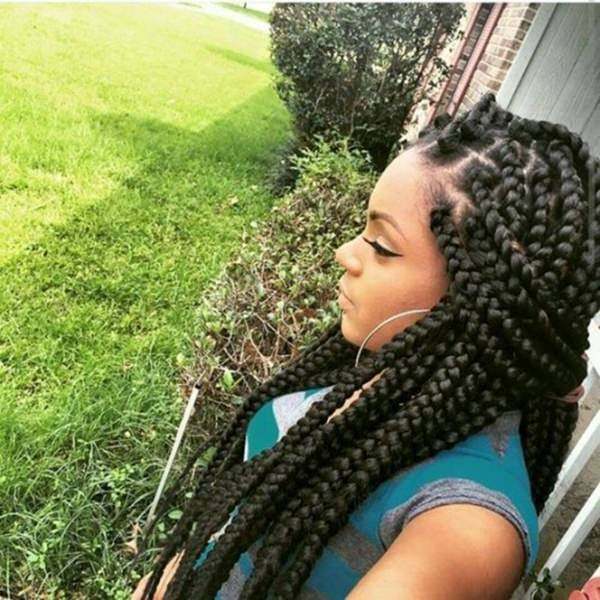 You make your braids, put then backwards, pin them up and have three portions with one on each side of your shoulder and one on the back. You are good to go to any event, to your office, or even go to sleep very comfortably. This amazing braid style with streaks of red color on them gives a very stylish overall look. 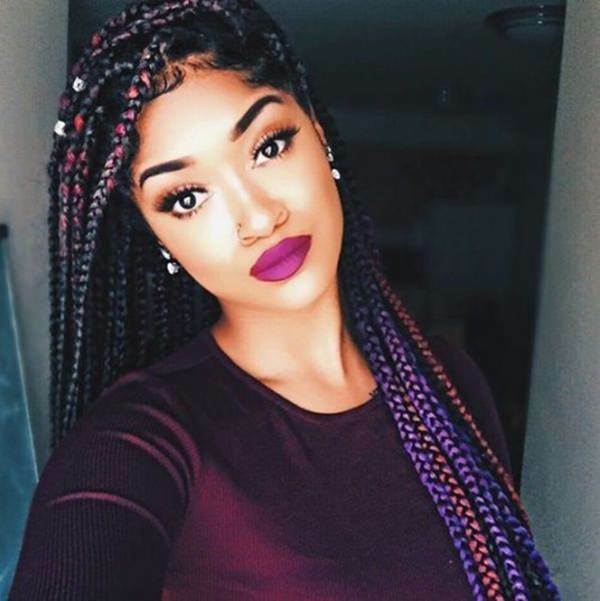 Your braid is protecting your hairs from environments and other styling tools, so least risk that you can take is to put some color on it. Another simple, yet classy justice braid look. 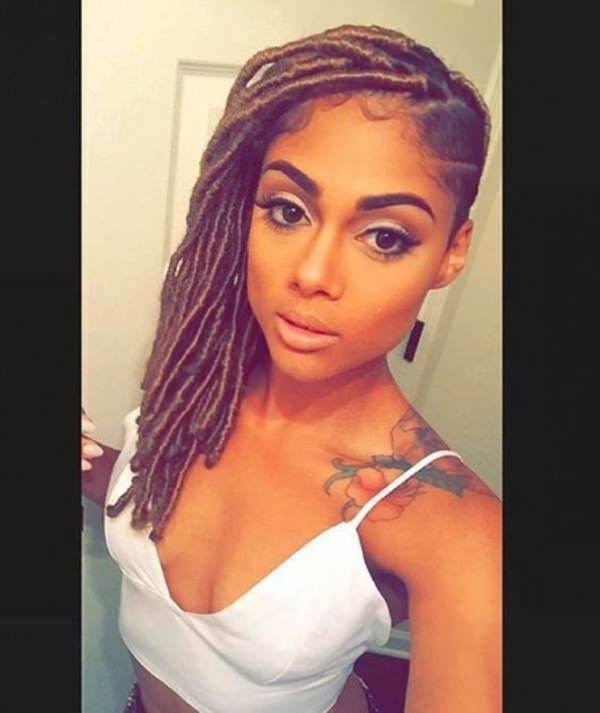 There is addition of some color to the braid sections and left open to settle where your braid naturally want to. Oh my God! Look at this. If you have long thick and curly hairs, and you do not find any solution, this is what we are providing you with. Your ultimate air care and hair styling solution. 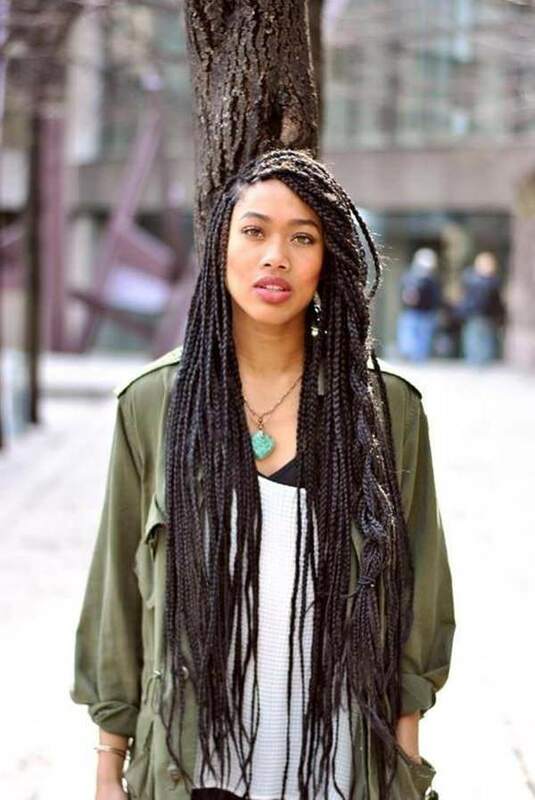 Put your hairs in to braids and leave a good length of hairs free at the end. Flawlessly amazing look will be ready. 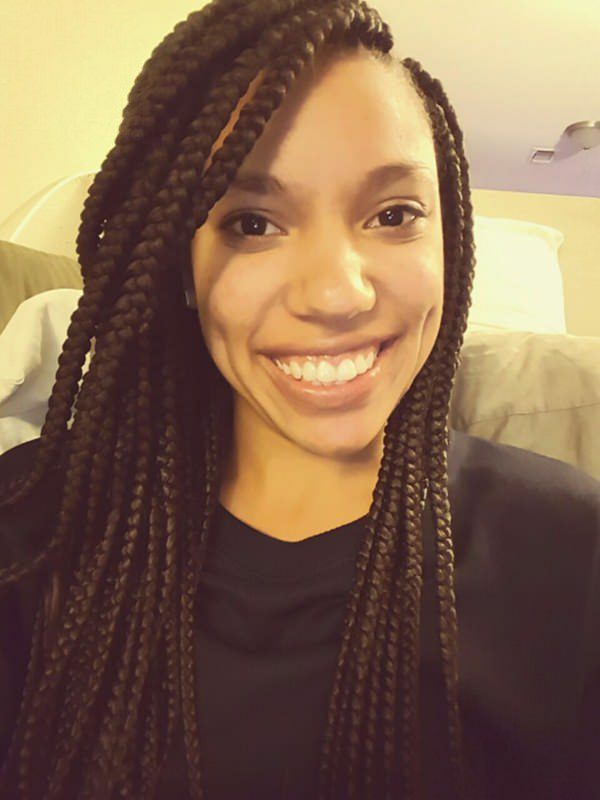 Well, this braid style is done on straight hairs. 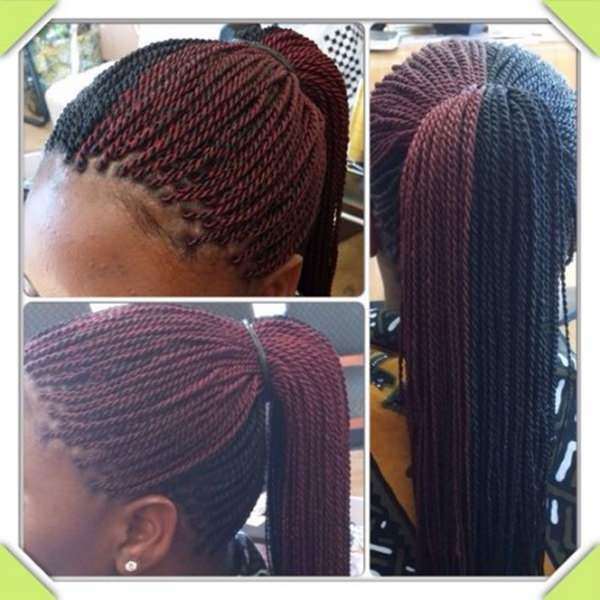 After that, braids are styled with beads on them. You can use any color that go with your dress. Along with that, put on a band at the front of head, and that should also be of color thats suits your dress color code. 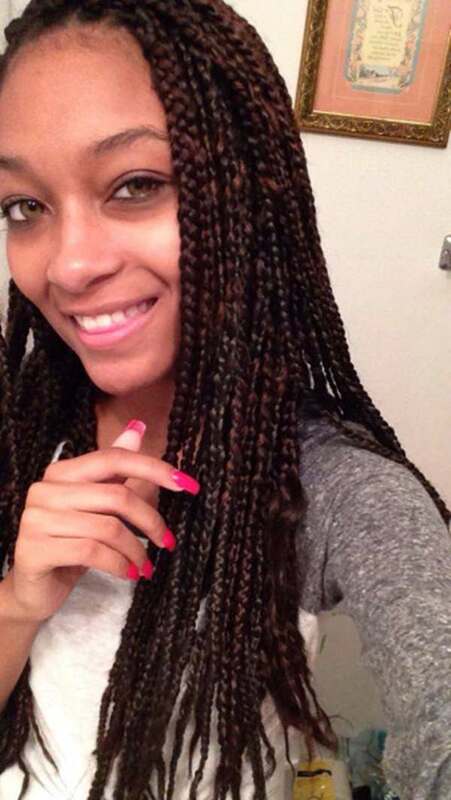 Make simple braids with simple partitioning at the start of your head. Then collect them at the back and put a band on them. 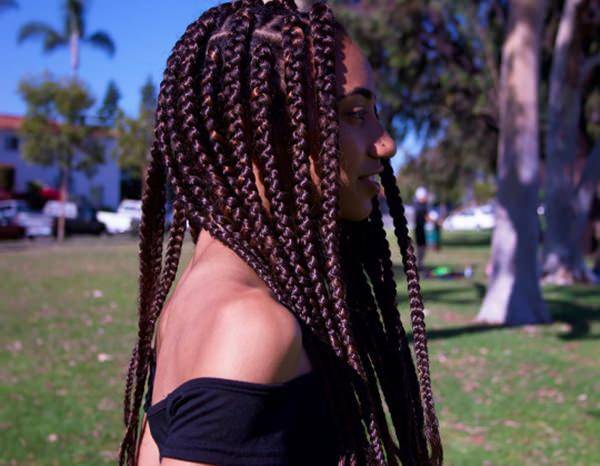 You can now let the braid free to move on you shoulder front or back. 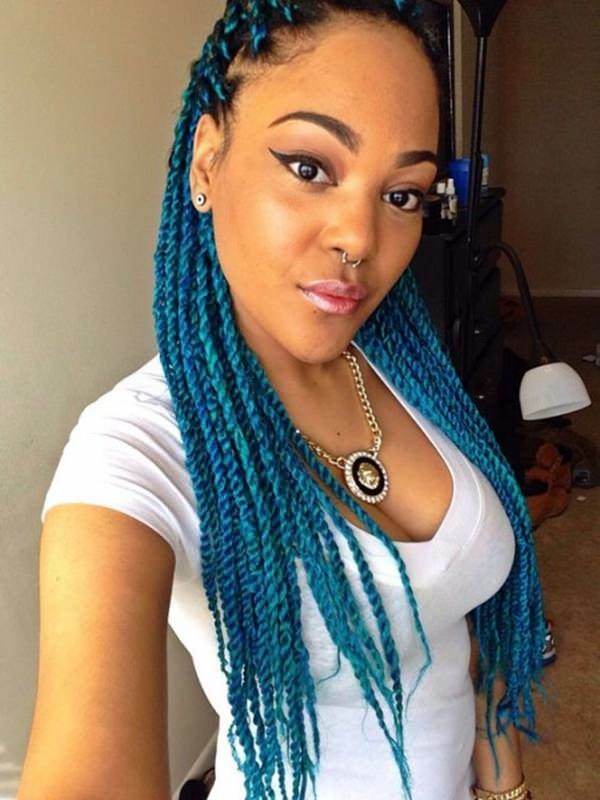 Add some funky color to braid portions to make it look more sassy. Simple braid with golden streaks on it. Well, there is no need to explain how stunning it looks. 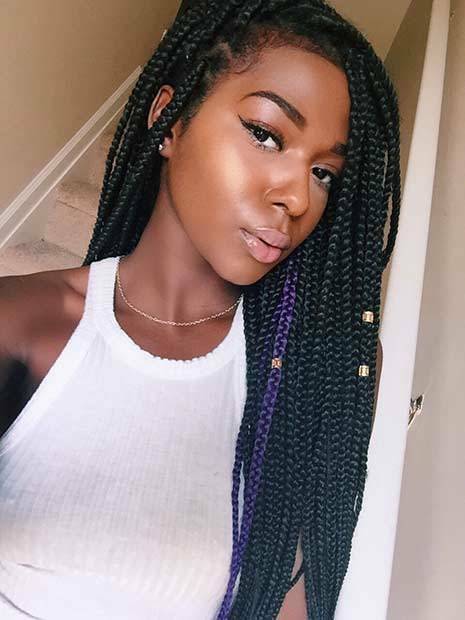 If you have a little lighter skin tone, then this color with look much more amazing as compared to if you have darker skin tone. For that you might try some dark color like Reddish orange. Three simple partitions at the mid and front of your head. 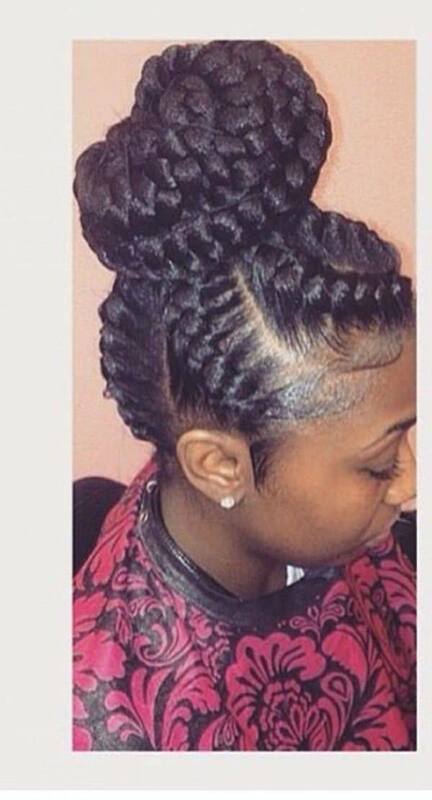 Then make the braids without caring about proper partitioning. The style will turn out very different and beautiful. Simple but such an elegant look. 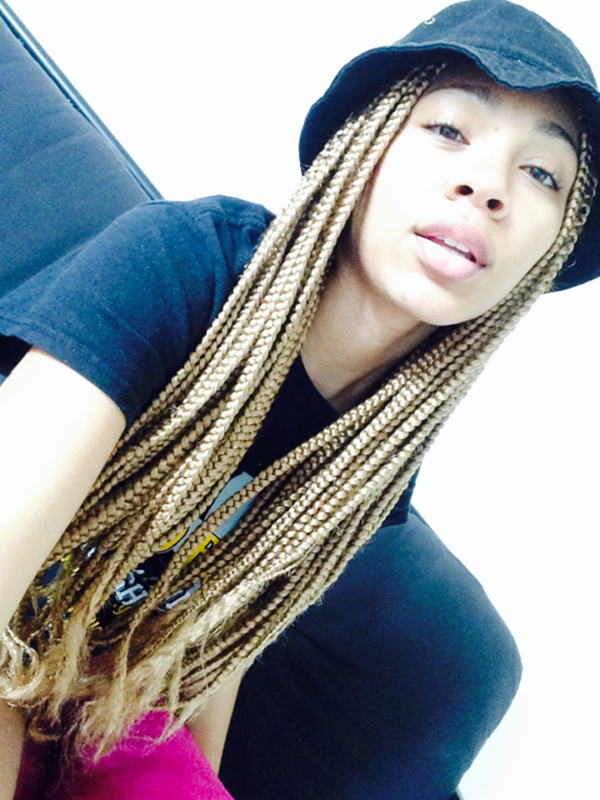 Simple justice braids with golden dye on them with make you look stunning and decent at the same time. Long thick braids put into a ponytail will complete your party look in few minutes. Just learn the right way to do it, and you will need no salon appointments to get it done. You have thin and straight hairs? Don’t panic because you can still make braids from it and still look stunning like the one in the picture. 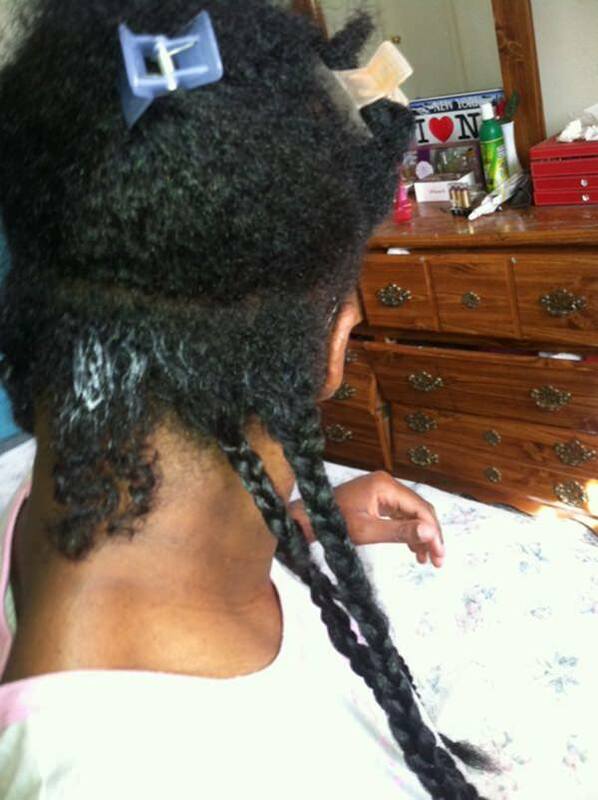 One side of the head shaved, and one side filled with thick long braids. What else one would need to get a sassy look? 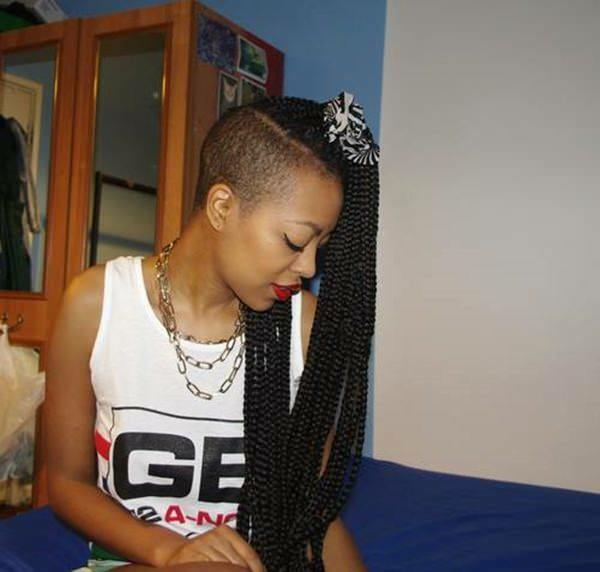 This is again for half shaved head, but the type of braid is different from the normal one. Simply put serum on your hairs, roll them , put enough gel to let the braid sty in the shape and then bind at the end. 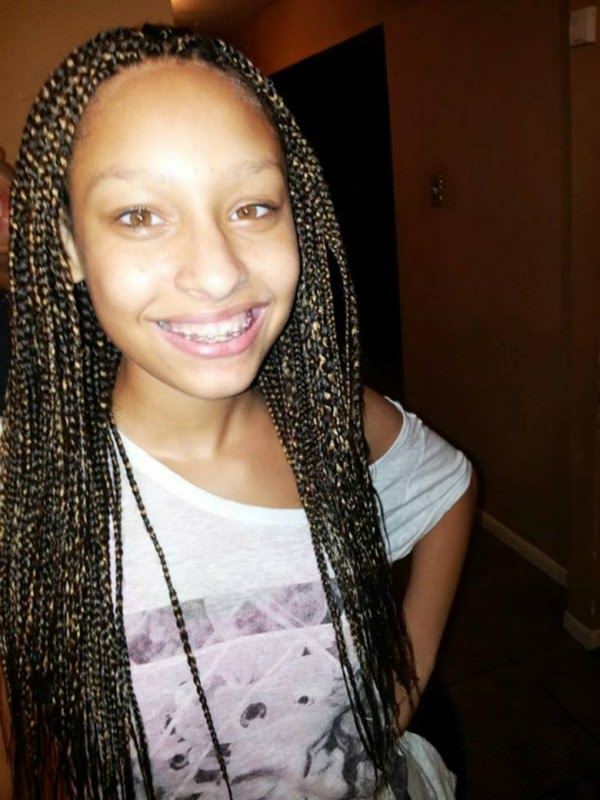 Make your justice braids and settle them on one side of your head. You are go to go to any function or party. 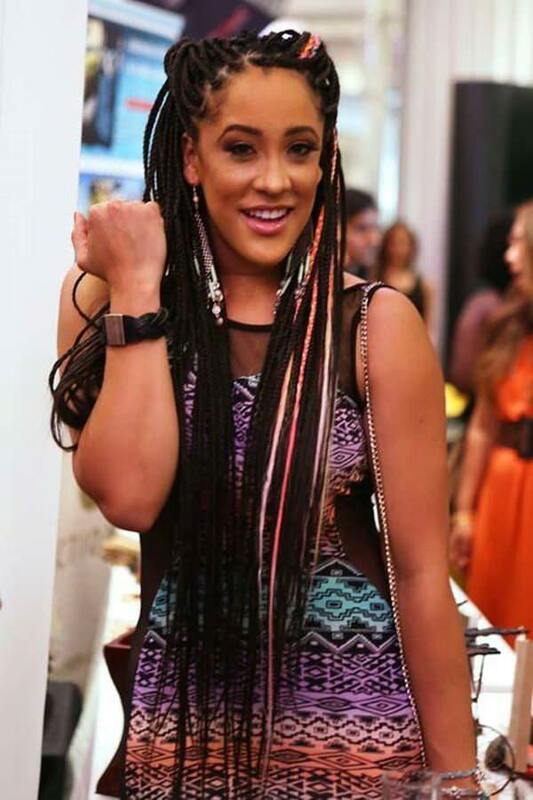 You long thick braids, dyed with color that matches your dress code can help you get a complete look at your functions, or even for office. 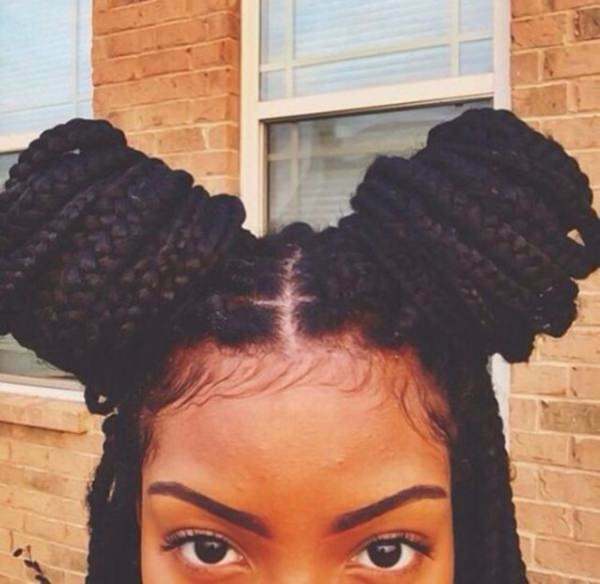 Make your braids, and put them into a huge bun at the top center of your head. It will look out of this world. Make the rolling type braid of your thick and curly hairs. Colors them by keeping distance from the roots. It will give a very different and stylish look. An amazingly done braid style with cute bun on the back. You have short hairs and you still want justice braid? You can definitely have it. Just look in to the above picture. 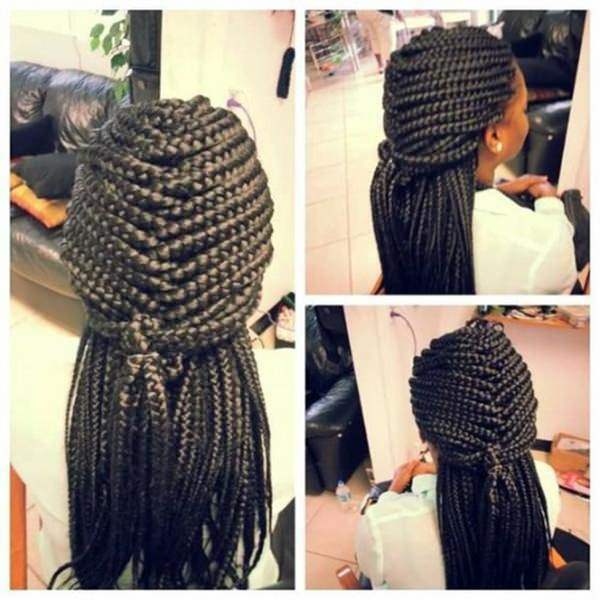 Make partitions, put them in to braids and you are ready for any formal function. 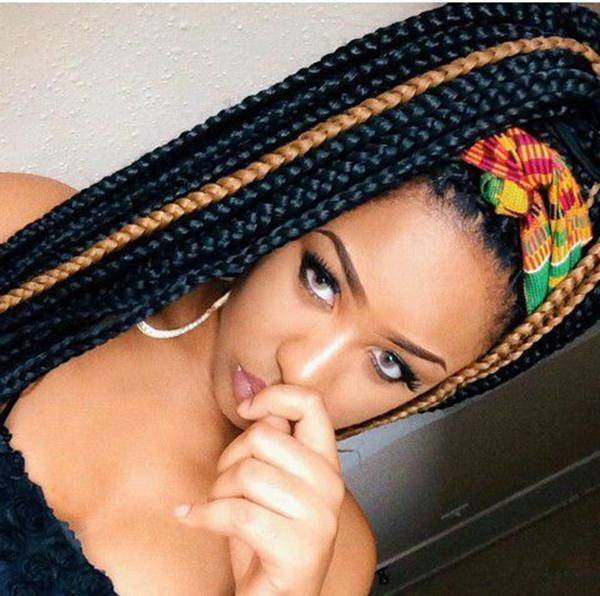 Simple braids with colored dyes on them always look funky and appealing to the onlookers. This color might not go with every dress, but for such stunning look, you can buy colors of clothes that suit with this dye. 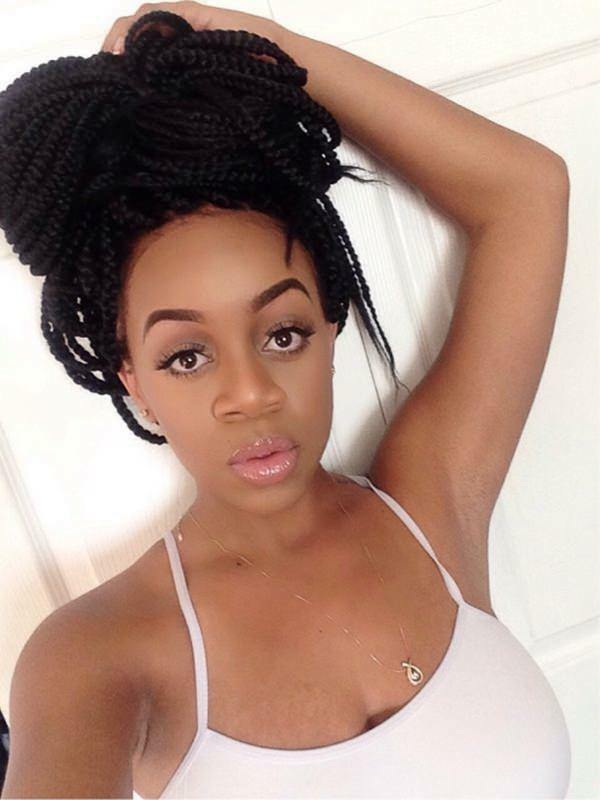 Long and thick braids with a few kept in central bun will give you a complete and stunning look. Just look at it and observe how gracefully the look is handled. Inst it stunning, simple and elegant? 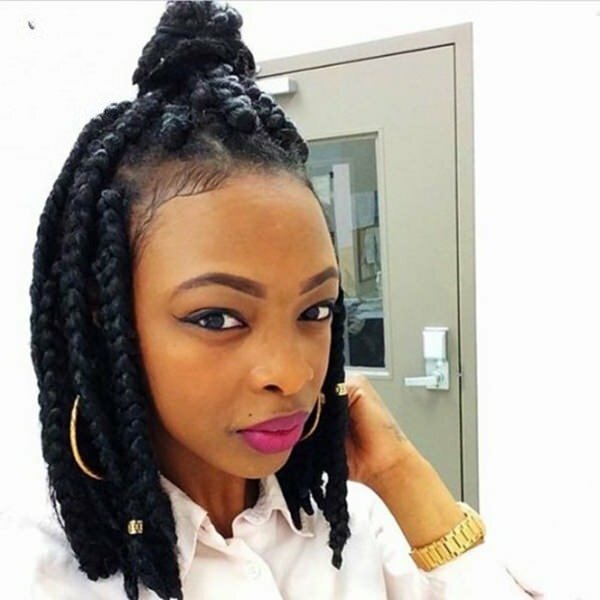 Braids with bun and some free braids on one side is that need to complete a sassy look. 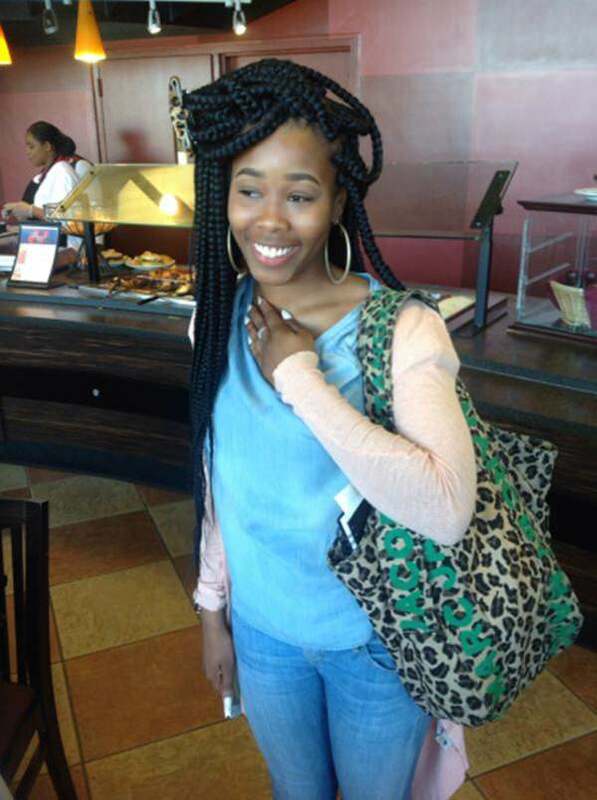 Multi colored braid with beads or thread rolled around them look very stylish if you wear similar color with them. Braid protects hairs, and if put in to bun, they protect your hairs even more. 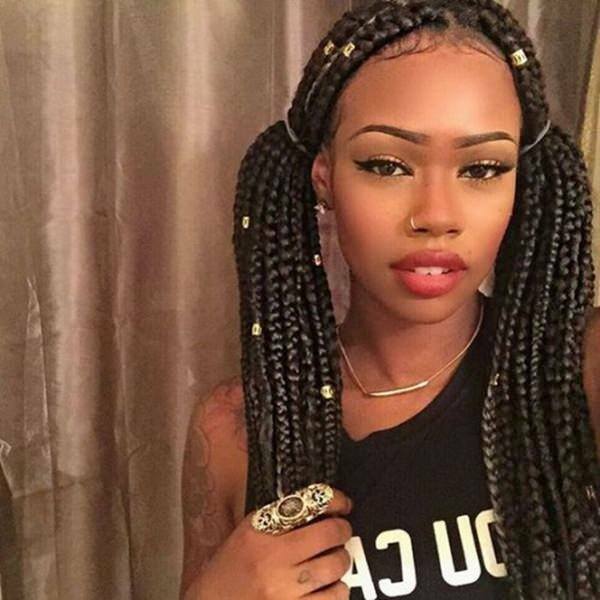 Bleach your braids to get a totally different look. Honestly, it will stun everyone but will be liked and appreciated for sure. 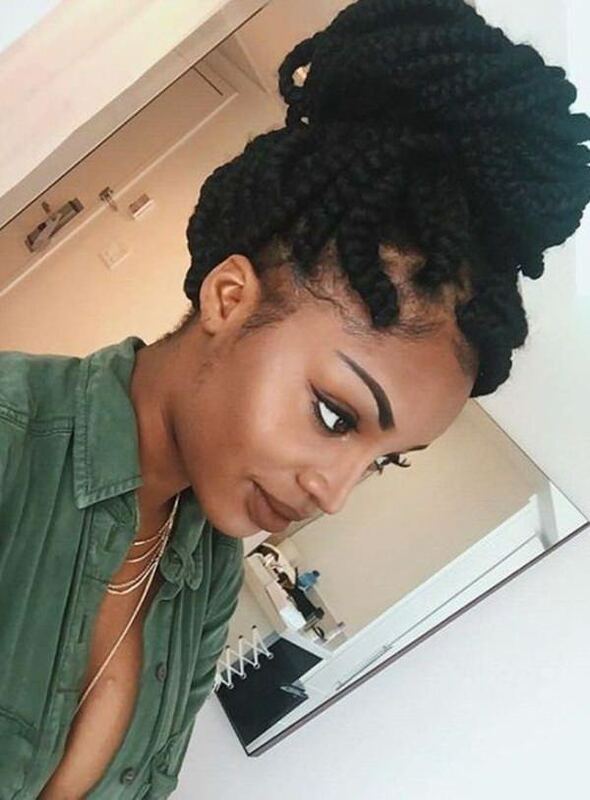 Braid with beads is amazing. You can put simple or stoned according to the type of occasion. 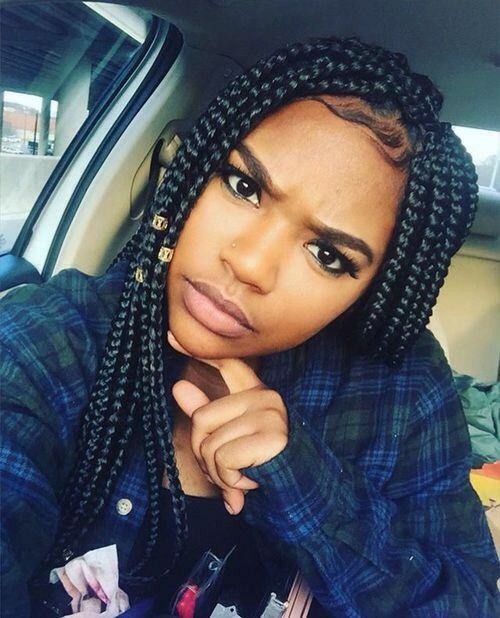 One or two colored streaks in your braids can add funky touch to your overall look. 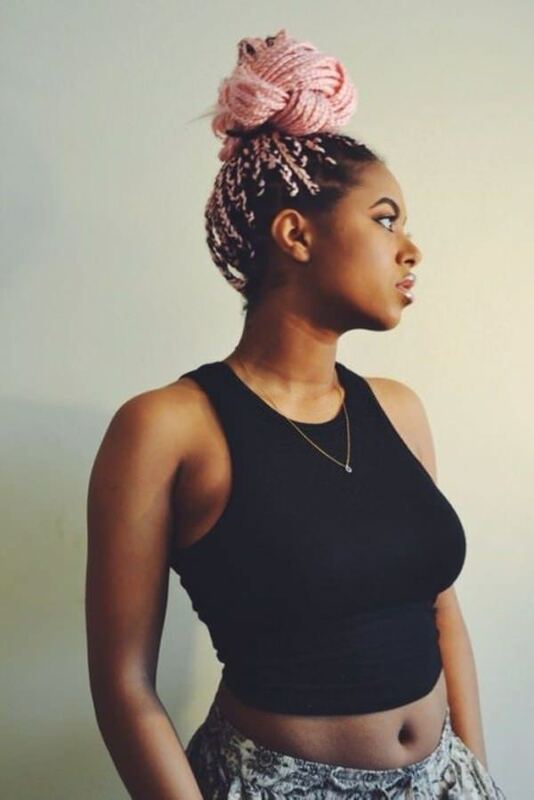 Small hair braid with a small bun at the central top of head look stunning every time you make it. Your braid look more stunning if you have some accessory with it. Just like here we have a colorful band on it. Braid turned into ponytail with half side dyed with red color is all that you need for your evening parties. Braid with bun, an evergreen look. 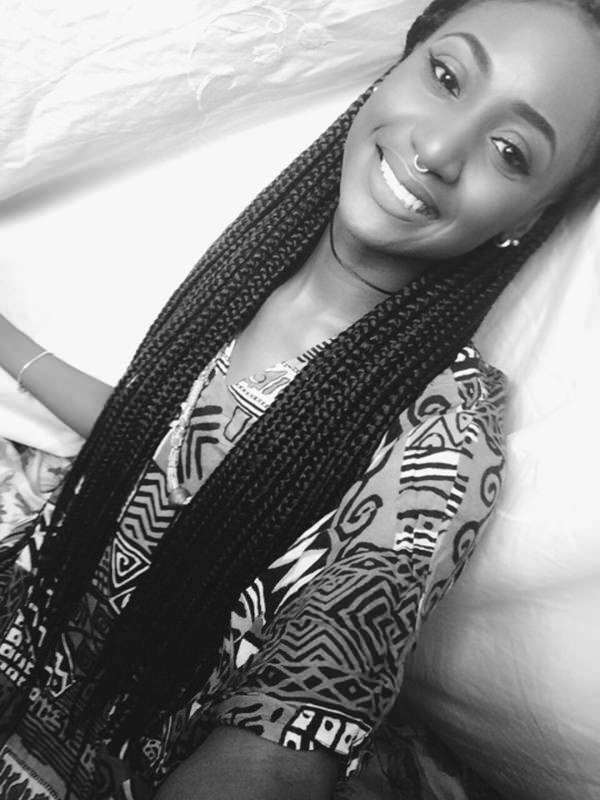 You small braids will help you handle your hairs for office. Just go for it if you have small hairs. Simple braids with two buns on each side of head will make your little girl look extremely cute. Put your justice braids into bun, and don’t forget to dye your bun portion to stun everyone around you. Well, this style is self explanatory. 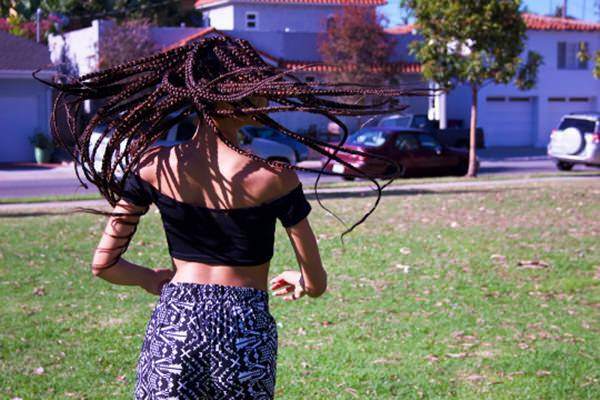 Put your braids in criss-cross manner and complete your look. You have small hairs? 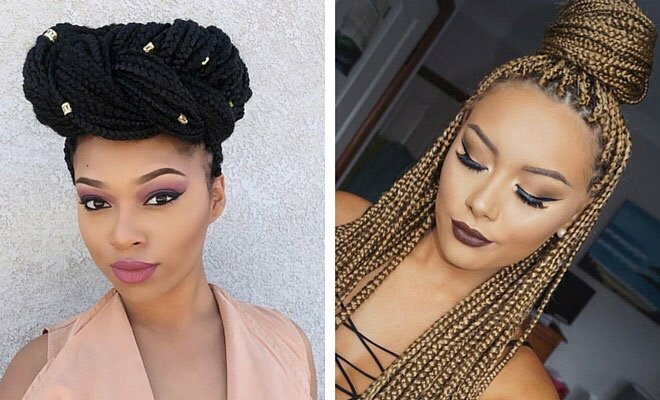 Don’t worry, we are here for you with such an amazing braid style. Just look at it and learn what you can do for your hairs. 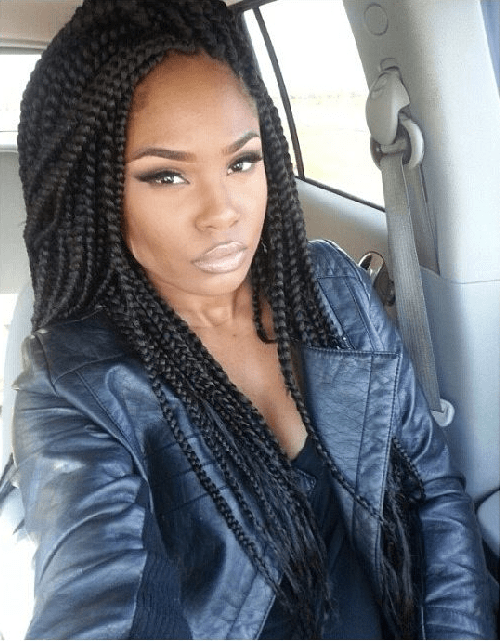 These long braids, with dark brown color is all that a women could ever wish for. This color will look extraordinary with every dress color. What else you might want if you have such beautiful and neatly done raids on your head. Just make simple partitions and arrange then on one side of head. You are ready to make people fall in love with you and your amazing hairs. 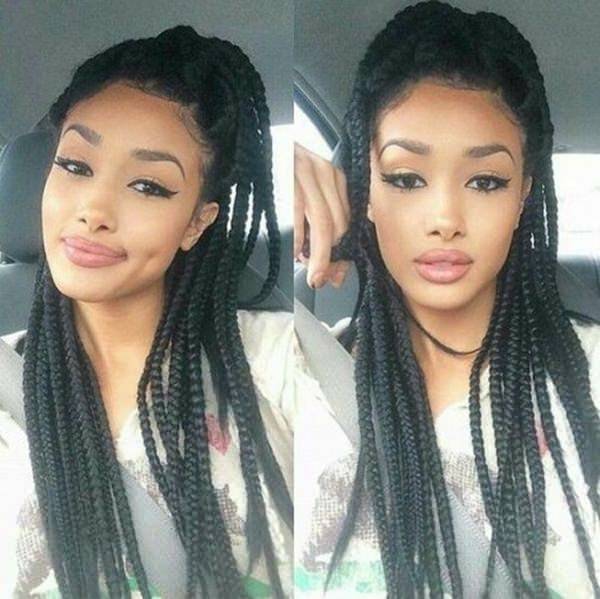 This is exactly the real saay look that people got inspired from hen they saw poetic justice movie. Never mind if you do not have such long hairs, you can even look stunning with small and thin braids, provided they are made in the right way. What else you want if you get this look of your hairs? 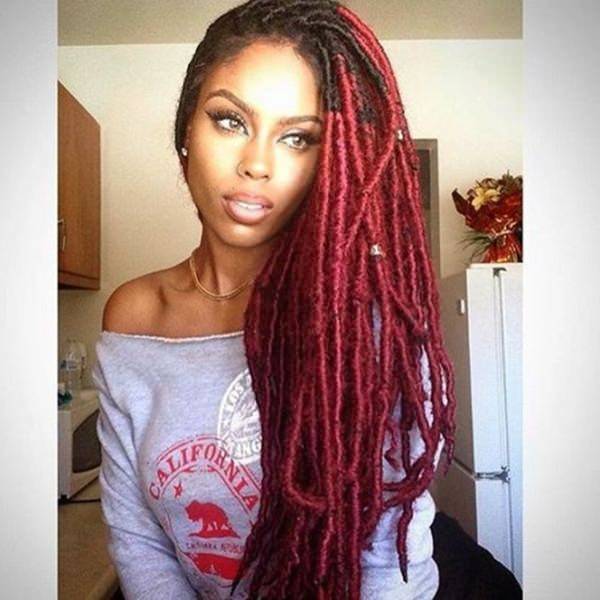 Multiple colors, any range of colors that you may like, could be added to your long thick braids. It is enough to let someone go carzy for you and your hairs. 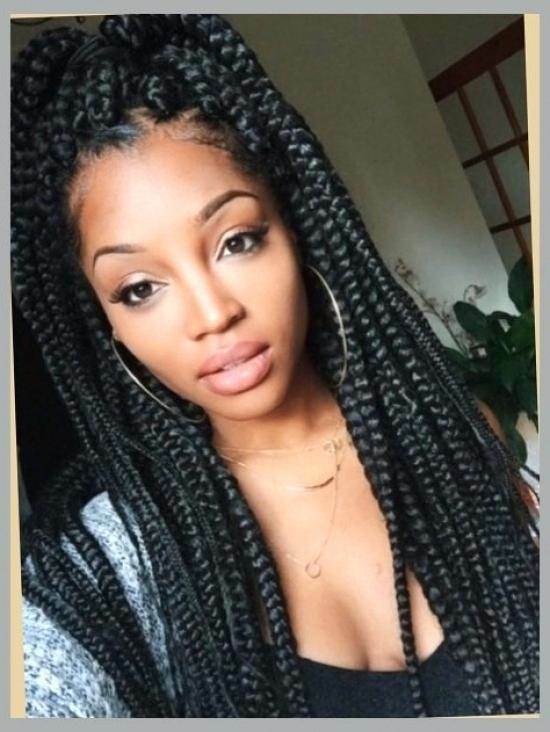 Long silky hairs look more amazing and funky when put into braids. Just add few colors to it by gently selecting a color and its lighter shades. Add all those shades to your hairs and see how amazing the overall look turns out to be. 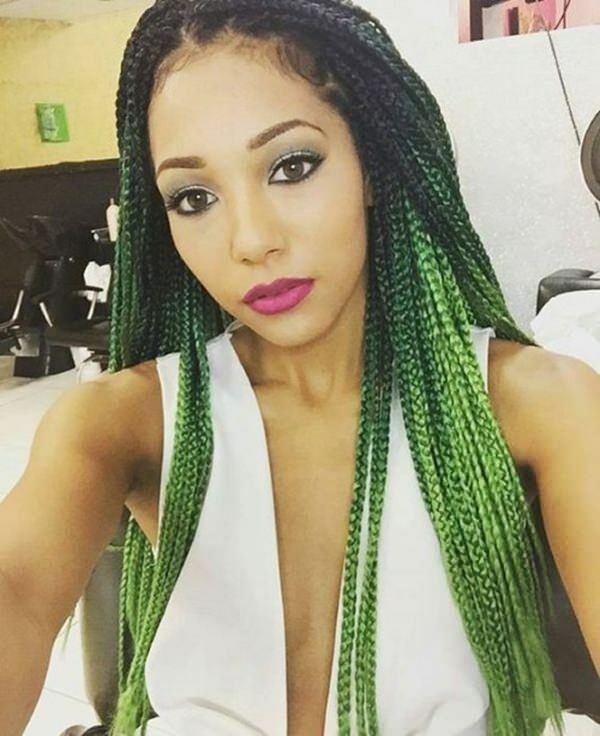 You tick long curly hairs are of no use, if you do not make braids from it. 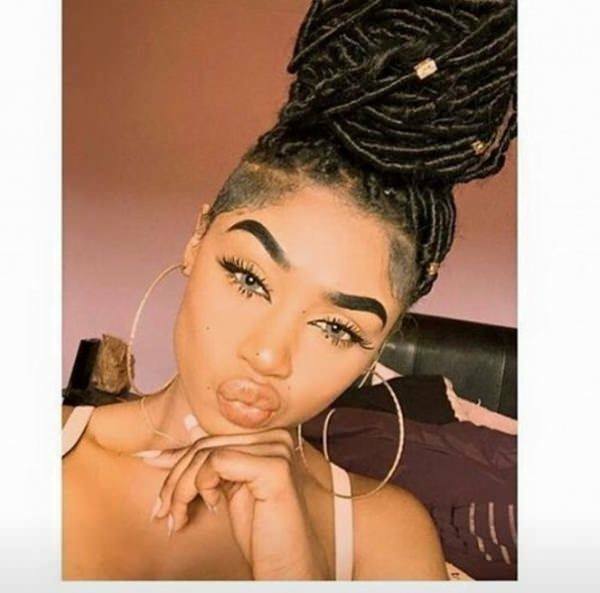 Moreover, if you have such stunning braids, then of you do not style them like the picture above, you are not doing justice to your justice braids. Simple tick braids, two on each side of your head with no beads and coloring, is all that you may need to have at home on weekends. It will keep your hairs in control and also protect them. As very popular nowadays, shave your hairs from one side and make braids of the rest. Bind them with a simple band, or put beads on it. It’s All up to you. But genuinely, this is the most interesting look one can have. 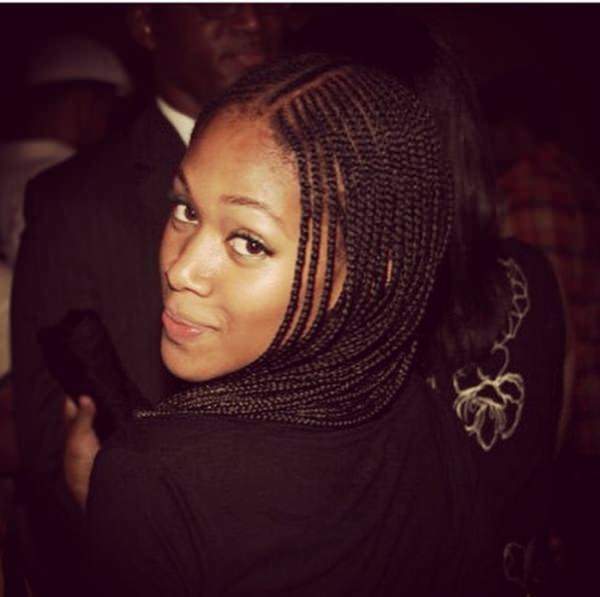 Long, curly, and thick hairs are of no use of you do not make justice braids out of them. Just put them into small and thin multiple brads, color them and tie every few of them into a knot. Well, this is going to be a very different and amazing look of you would ever have. All that you need to do is to make your justice braid the way you like, and then put it into a bun a bun with the ends left free. The look will be noticed, and will look wild and funky.